Kids have all the time in the world to keep asking you something even when you’ve already said NO. When I’m busy or tired, I often have far less resources -time, energy, patience, diligence- than my kids, so they’ve figured out that pestering can sometimes work. When they really want something, their enthusiasm and excitement for immediate gratification can eclipse my voice. So, saying NO and meaning it is a message I am always working on with my kids. 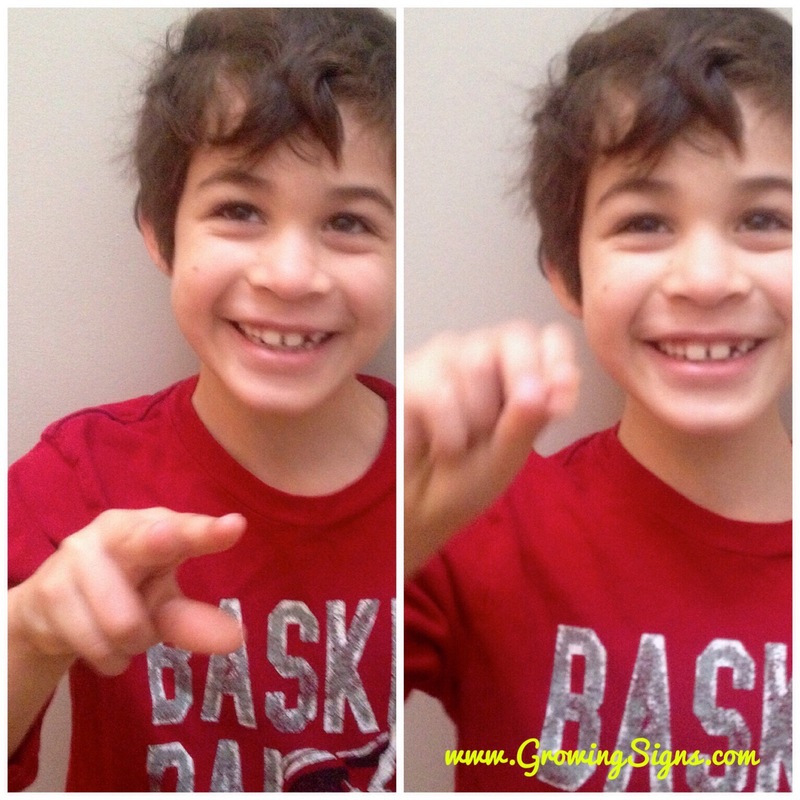 Adding in a firm NO in American Sign Language gives my verbal answers a big visual punch to let my kids know I mean business. My kids are 4 years apart, so when my son came along, I already had a very sign-savvy preschooler to help me teach signs to her baby brother. We started right away, and she loved signing our beginner signs like MILK and BATH and ALL DONE. 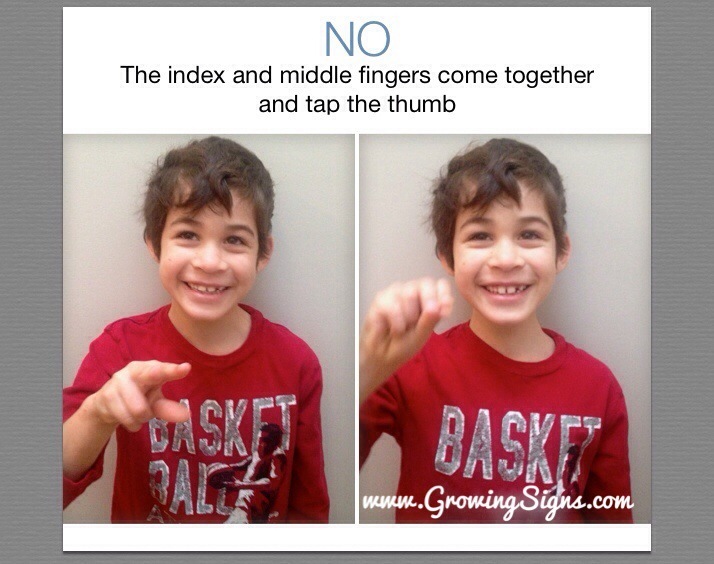 My son is now 8, and the ASL signs I find myself using with him and his sister are more command-oriented since they are fully functioning people in the world: STOP, YES, NO, WAIT, NO, PLEASE, THANK YOU, NO… (did I already mention NO?). 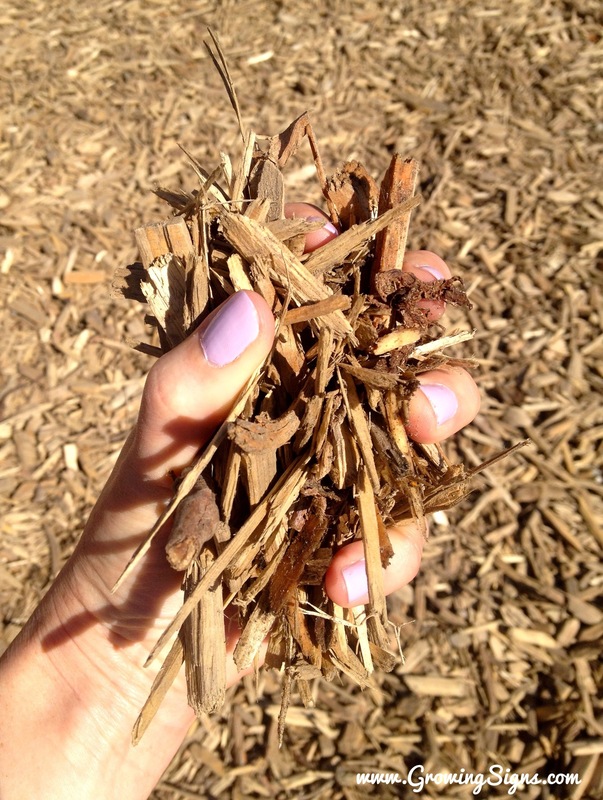 The other day after school at the playground, I noticed my son, Ian, and his friend were having a wild wood chip fight, scooping up piles of wood chips from the ground and throwing them at each other. They were smiling and giggling and having a blast, and neither boy seemed to consider what I saw to be massively dangerous, but I knew their fun could change quickly and I called his name. He was too far away for me to yell out a full command, so I just signed NO when he looked at me. He knew we already had a strict rule about not throwing wood chips but had forgotten in that moment of fun. Of course, right then as Ian looked to face me, his friend tossed a huge bunch of wood chips right at him, and my son quickly bent down for ammunition to retaliate. I called his name again and signed NO once more as he held an armful of wood chips, ready to fly. My face meant business and he saw that. My hand was also speaking loud and clear, backing up my voice and my face. So he dropped the pile of wood chips and stepped away, but I could tell he was very annoyed at losing not one but two wood chip battles that day -with me and his friend. It all ended there and I didn’t need to explain myself or talk to him. I signed GO PLAY, and he ran off with his pal to the monkey bars. I felt relieved that I could shut down the wood chip fight without embarrassing either of us, or his friend, with just a call of his name and one ASL sign. No means no (unless you say yes).